This is Red Dead Redemption 2 expansion pack. Red Dead Online is a multiplayer action game which is also a network module of Red Dead Redemption 2. Rockstar Games is responsible for the creation of both. 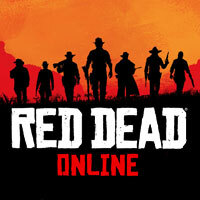 Red Dead Online is based on a similar scheme as the previously published Grand Theft Auto Online. The authors used the content developed for the purposes of Red Dead Redemption 2 and complementing it with multi-person elements. Players thus find themselves in America at the end of the Wild West era, with a vast area full of interesting places and NPCs, as well as numerous activities. The latter include both fictionalized missions and classic multiplayer modes, and the game features attractions for fans of both cooperation and competition-based play. There are also some borrowings from the original Red Dead Redemption multiplayer mode. Red Dead Online uses the same audiovisual setting as the basic Red Dead Redemption 2. The game is available for free to buyers of the core version of the game, but functions as a completely separate production. The Red Dead Online guide contains the best set of starting tips to help you in various tasks in the RDR2 multiplayer mode. Our walkthrough describes all story missions, explains camp upgrades, and also provides advice on hunting animals or winning races.